After being unable to visit a large winery/vineyard in eastern Washington, our group took the ferry to Bainbridge Island and toured the Bloedel Gardens, had an amazing lunch at Local Harvest and then visited the artisan vineyard/winery of Perennial Vineyards. The Executive Director of Bloedel Gardens, Ed Moydell, met us at the beautiful gardens and gave us an informative overview. The Bloedel Gardens are a local treasure, and we were happy to walk for an hour through the landscape and visit the house where the Bloedels lived. It has an amazing library of plant books and is now open to the public without the need for a reservation. After our visit to the Bloedel Gardens, we drove to Local Harvest restaurant, where, true to its name, local produce become delicious dishes. The food was so good that we all vowed to return soon. Mike Lempriere, owner of Perennial Vineyards, gave us not only a tour of his own vineyards, but also the neighboring Bainbridge Island Vineyards. He explained the process of starting with planting new vines as well as the process of harvesting grapes from the vine four or five years later. 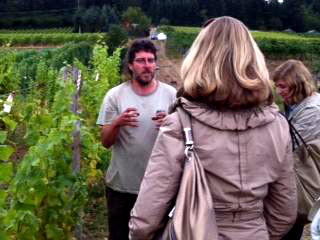 He also explained the dedication involved with creating artisanal wines. 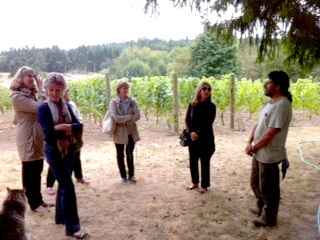 His stories of farming and winemaking on the Island kept us fascinated throughout our entire tour. Sadly, we missed the wine tasting because we had to make the ferry back, but we did do our part in supporting his winery. 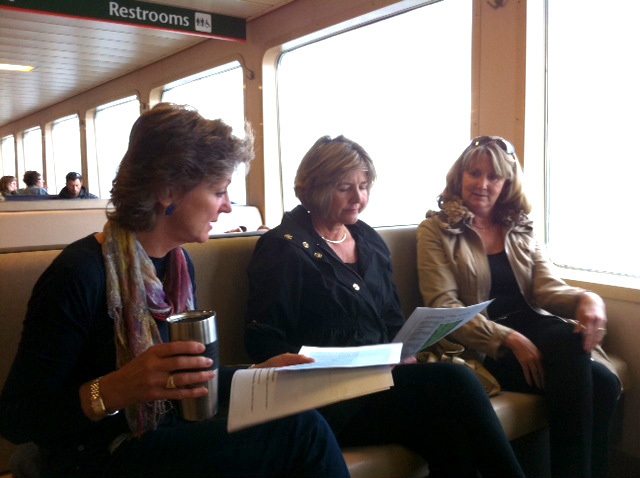 Although our winery outing did not include a sip of wine, we all agreed it was a fun trip and we all hope to return to Bainbridge Island soon. On Saturday mornings, the little town of Winslow hosts Bainbridge Island’s Farmers’ Market, where the local wines and produce are a speciality. If you are able to get away from your busy lives in the city, we highly recommend paying the lovely Bainbridge Island a visit. Listening to our tour guide. 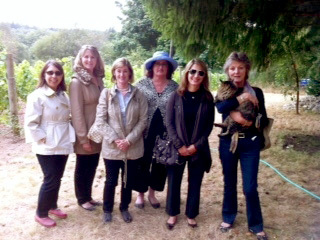 Sustainers on their vineyard tour.